Most enterprises today have branch offices distributed throughout the world. To communicate with each other, they have to rely on the Internet. They have meetings, send email, share documents and other resources with each other online. That is very convenient. However, an increasing number of cyber-attacks, viruses, and malware come along with the open portals of communication. The hackers use them as tools to steal business secret and other confidential information for money. Securing business is very important. Perimeter 81 is one of the best business VPNs, helping you simplify and segment secure network access for multiple teams. Learn why it is so popular in this Perimeter 81 review. Powered by SafeVPN, Perimeter 81 is a leading business VPN. 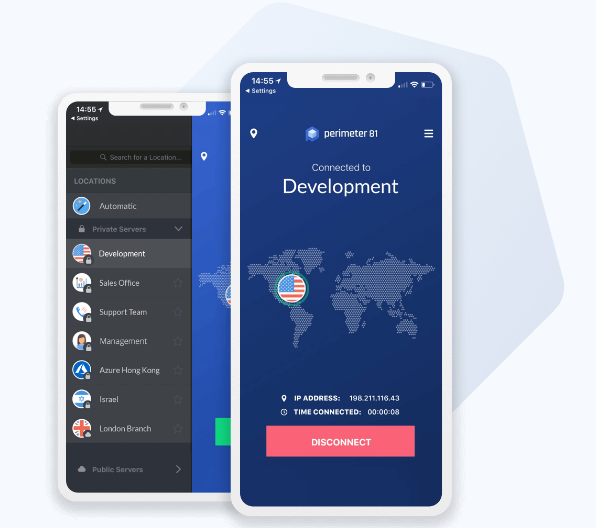 It is different from the customary VPN solutions giving users secure and smooth connections. Actually, it utilizes a next-generation Cloud VPN solution and cybersecurity innovations without pricy hardware to offer safe, private and unlimited Internet access to businesses of all sizes and industries. It keeps your team’s communications and online activities completely private and secure. 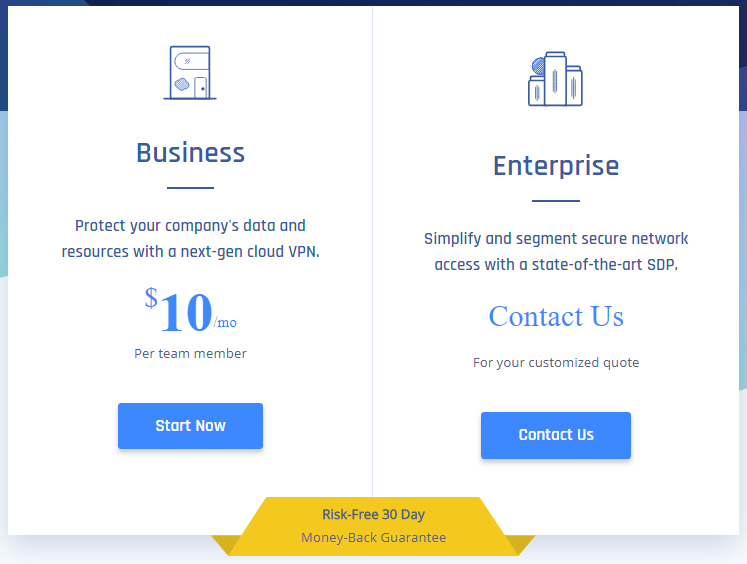 This VPN makes it pretty easy to expand your business’s network with a customizable software framework and practical cloud or on-premise deployments. It allows you to grant employees access to confidential company resources securely based on-premise, on the web or in the cloud. Perimeter 81 protects your company’s privacy with optimized IP address and VPN servers. It secures your communications, data and online traffics with the advanced encryption technology. It is a reliable business VPN. To meet users’ different needs, Perimeter 81 offers Business and Enterprise plans. If you run small business, you can choose the Business plan which will help you secure cloud environments, staging servers, company databases and more. The Business plan costs $10.00 USD per month for one team member. It is relatively cheaper among the business VPNs. If you have many teams or departments, choose the Enterprise. No specific price is offered on the website. You need to create an account with your email and provide some information about your company, and then you will get your customized quote. Due to the flexible and reasonable prices, many managers purchase this plan. Perimeter 81 provides full-featured VPN services while its prices are friendly. Why do you need a VPN for business? Privacy breaches happen every day. Confidential business information leak can cause huge loss. Large enterprises may frequently face issues like DDOS attacks, identity theft, limited basic firewalling & bandwidth, costly in-office VPN concentrator, unscaleable ad-hoc solutions and Internet restrictions due to geo factor. If you are one of them, use Perimeter 81 to ease the burden. It offers fast, secure and simple cloud-based VPN service for business. 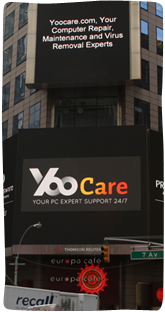 The provider offers smart servers in 36+ locations worldwide. The servers are hosted in their secure cloud and managed independently by the excellent team. Perimeter 81 provides seamless integrations with your EMM/MDM platforms like AirWatch, IBM Maas360 and MobileIron to meet the needs of complex corporate IT environments. This VPN’s automatic WiFi security and AES 256-bit bank-level encryption give your business the best protection. It supports unlimited data, bandwidth and speed to let you share data with the team freely without high cost. 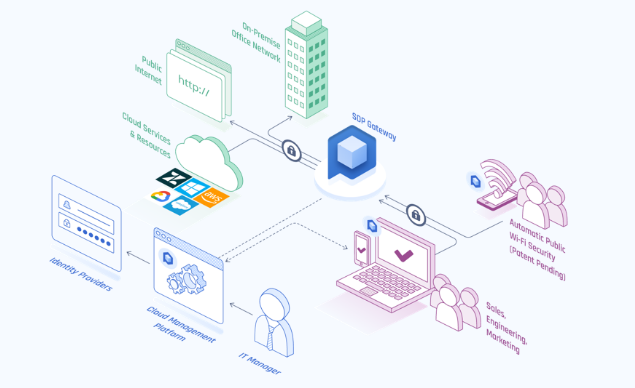 A comprehensive cloud management platform is provided to help you deploy and manage private servers, invite team members, monitor network activity and conduct other team activities conveniently and safely. This VPN is customizable and you can get an effective and advanced solution based on the needs and requirements of your organization. It has been trusted by a large number of global companies. They offer easy-to-use cross-platform applications let both new and old users handle team business easily. As we know, many public WiFi hotspots have a weak or not any level of encryption. By connect to the same insecure network you use, the hackers can intercept your sessions and grab your sensitive information. They even create phishing network to trick you into connecting. For example, you may need to check email at the airport. If you connect to the phishing network, hackers can steal your email account and access important email when you log in. Once they control your email, they can access other account like social media to scam your partners or reset the financial account passwords. That will be a disaster. When you have remote meeting with your team, your competitor or cybercriminals may try to steal confidential information from your team to win a project or for other purpose. Perimeter 81 provides the highest level of data security and protection. The AES 256-bit, bank-level encryption protocols ensure your team’s Internet traffic is fully secure even when they use untrusted networks. It is almost impossible for a person or machine to crack the 256-bit encryption key. Besides, this VPN encrypts data at the packet level. That means your precious files, private email messages and user logins keep completely confidential. The innovative automatic WiFi security and advanced configuration are very helpful. 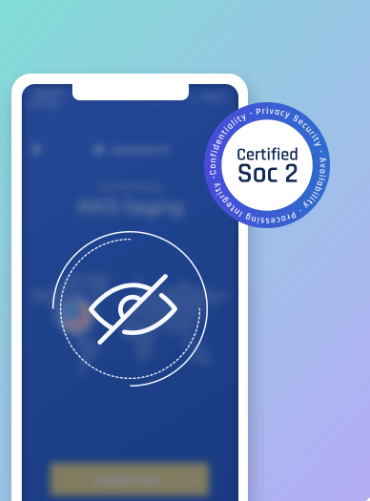 It activates VPN protection automatically to shield Internet data when any member of your team connect to unknown and suspicious networks. That ensures your team is always protected. Install Perimeter 81, and you will be able to share data and manage network securely for your employees anytime and anywhere you like. Both regular Internet user and businessmen highly value Internet privacy. Sometime, privacy is money. When preparing for competitive bid, competitors may try to know each other’s activities and other information so as to win effectively. If others know about your solution, they can steal yours or create a better one based on your solution to increase the chance they win. Besides, they may try to steal your customers’ information for evil purpose. Your team may get involved in lawsuit due to information leak. Therefore, it is very important to conduct confidential online business anonymously and protect your team’s privacy. Perimeter 81 offers secure and private network to maintain your team’s online activities completely private. Remote & dedicated servers and shared IP addresses are offered to hide your company’s actual IP address. Your DNS, gateways and other information won’t be revealed. All the servers are encrypted. All outbound and inbound traffic is secured and rerouted to remote server. That disguise your team’s online activities to prevent others from snooping at you. Besides, the provider does not access or keep your traffic log. They won’t share your privacy with the third party for any reason. Perimeter 81 wipes your team’s online footprint, anonymizes their online activities, encrypts communication data. You can work with your team remotely without worrying about information leak. With the development of technology, a growing number of SMBs hire and manage teams in a flexible way. They don’t have to gather in a certain office to work every day. The team members can live in different cities or even different countries. They work effectively on-the-go to save time and energy. The problem is such team may face issues like insecure WiFi connections, bandwidth & speed limit, geographical restrictions and online censorship in many different locations over the unsafe Internet connections. Your employees may have to fly to different places and spend most time at airport or hotel. Your team may use Gmail as default method to contact each other while Gmail may be blocked in the country which your brand office is located. You have to upload a bunch of files on the cloud to share with your team. Perimeter 81 understands the issues you have when relying on cloud-based solutions. Therefore, it offers bank level encryption, automatic Wi-Fi security, private servers & IP addresses, easy-to-use apps and cloud management portal to eliminate the threat. You can monitor and control the cloud VPN effectively to protect your team. To let you manage the team conveniently, Perimeter 81 provides unmatched network visibility and monitoring. 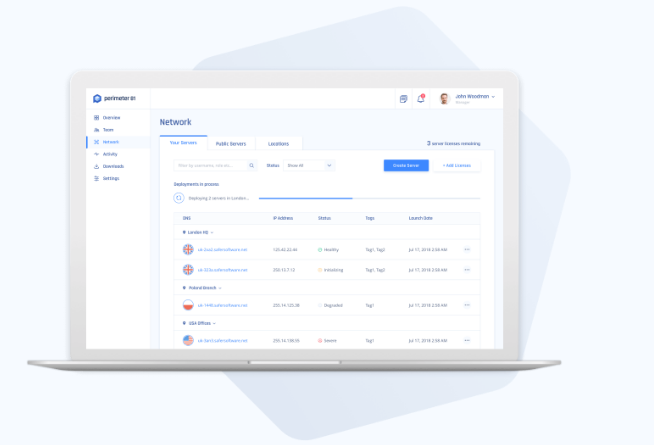 The cloud management is customizable, so you can have an overhead view of your network and its security. In this way, you can detect suspicious activities and stop dangerous threat to your network in time. Of course, you can monitor your employees and supervise them properly. It lets you view and alter the server settings on the employee network. You control the whole team while your team still can work independently and cooperate flexibly. There are many Internet limits between different countries. The applications or websites you use may not be blocked in another country. Your team relies on a certain platform while it’s not available for you in different country due to geo-restriction. You use Google Drive to store team files while other team member in mainland China can’t access the cloud service. You advertise your product with a video and post it on YouTube while this video-sharing website is banned in some countries. WhatsApp uses end-to-end encryption to keep your message private, so many businessmen choose it to communicate with their team. However, WhatsApp is blocked in many countries and regions. Perimeter 81 is the best way to circumvent geo-restrictions. It enables you to create private business VPN servers with dedicated IP address from different locations. Your team will be able to access the global network consisted of over 700 public servers in more than 36 locations. If the website you need to visit is blocked in your country, connect to the server which allow the website. Your virtual location will be changed and you will be able to defeat restriction and make use of the online resource properly. With Perimeter 81 VPN, promoting your company to enter the international market will become easy at less cost. The VPN plays a very important role in your expanding team. Perimeter 81 VPN offers Single Sign-On and native applications that are compatible with Windows, Mac, iPhone, Android and Chrome. It is easy to setup and easy to manage on any device. No matter you are home or on a trip, you can work on your laptops, tablets or phones with privacy and cyberattack protection. Likewise, this VPN service also can support a number of gadgets. This is a perfect solution for businessmen who have multiple teams and sub-companies located in different countries or regions that need secure access to their team network and database. Perimeter 81 VPN is a fully cost-effective service. To simplify your business management, the provider eliminates the operation for any manual configuration and hardware cost or installation. It also saves the help desk support with a 100% cloud-based solution. The complete management portal make management easy, secure and effective. Perimeter 81 VPN is an affordable and very useful solution for business security, privacy and effectiveness. Cyberattacks become common in business industry. To secure your valuable property, you need to create strong passwords for all accounts, use a powerful firewall, install high-quality anti-virus software and offer staff training. However, they are not enough. The hackers develop new threat and upgrade malware all the time. They make use of the advanced technology to develop malware and other phishing programs. It takes much time and energy to fight against the criminals. To keep your business safe with less effort on your side, you need a reliable business VPN like Perimeter 81. With it, you will be able to save the cost of expensive hardware installation for effective cybersecurity. 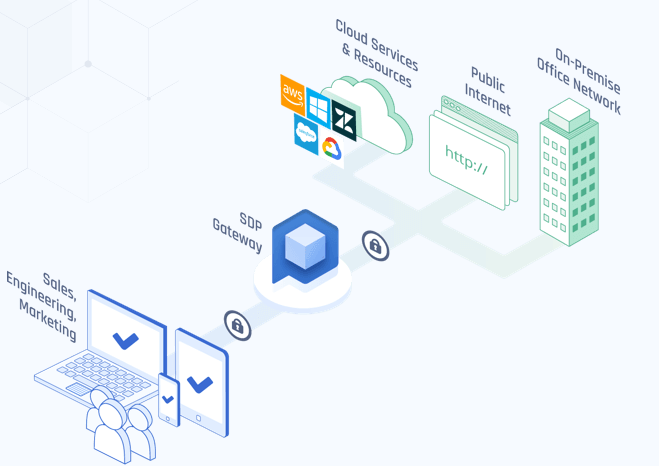 This VPN enables you to deploy private servers, secure cloud gateways and client applications instantly by offering intuitive interface and unique API integration. This product is compatible with all famous systems. The VPN not only provides Internet security, but also offers Internet privacy and freedom. It keeps your teams’ activities anonymous and reroutes your data to remote server to access online content without geo-restriction. Whether you are abroad or on the go, you always can grant your employee secure Internet access to your business’ most valuable resources. 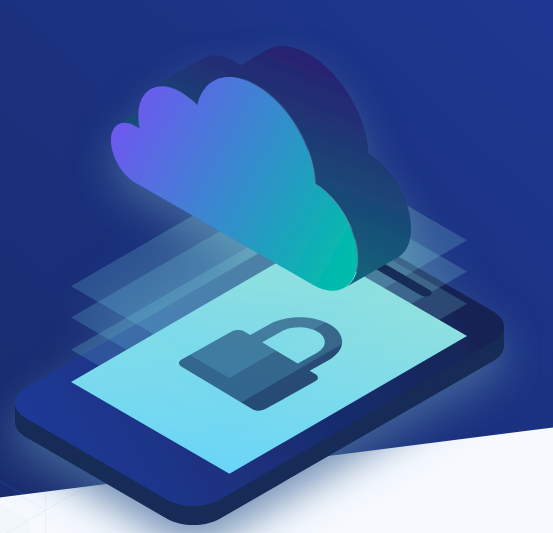 Safeguard your employees’ access to the team’s critical cloud environments, SaaS applications, staging servers and databases with the fast, simple and secure Perimeter 81 VPN. It is the right choice to secure your business. Seeking for business security? Give Perimeter 81 VPN a try. It has money back guarantee.